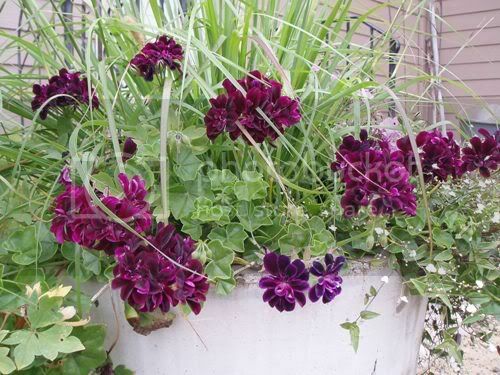 I'm a real fan of the 'black' plants although I've never seen that Ivy Gerranium. 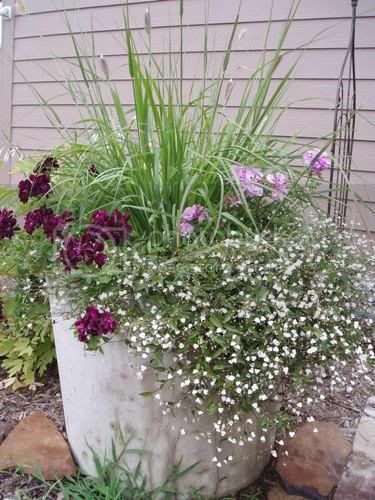 They look great against the white and I really like the contrasting foliage in your tub, too. Looks lovely! Thanks! This is one of those plants that make me want to have a garden with just one color. I can't get enough of it. It is a beauty for sure.I have never seen it before for sure.I love your arrangement. 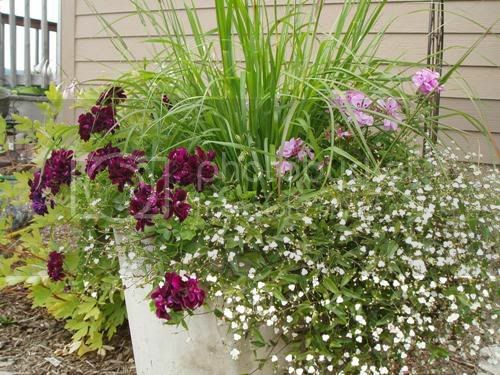 The geranium with the wispy Baby's Breath is a gorqeous contrast. I love the arrangement and I certainly like the Black Geranium. Never heard of it. Doubt that it would ever make it in Texas in 100+ degrees. Thanks for sharing. 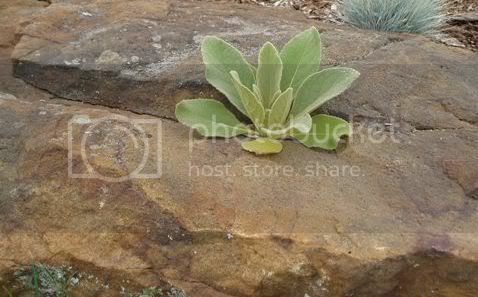 Oh, and I love the little Lambs Ear! !